During summer holidays 2012 we installed to mezzanine floors, one in the North Hall and one in the South Hall. 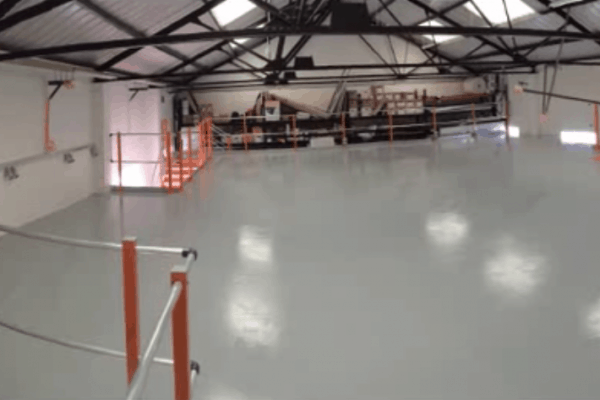 North Hall – We designed and constructed a mezzanine floor 14,100mm x 6,170mm this was to be used as a workout suite. To the underside of the mezzanine floor a one hour fire rated suspended ceiling was installed complete with column cases. Access to the mezzanine was via a straight steel staircase complete with stainless steel handrails to both sides. The underside of the floor we constructed a half hour fire rated protective means escape to the fire exit door. To the first floor level a first floor enclosure was completed along with an edge partition wall complete with fire rated windows. South Hall – We designed and constructed a mezzanine floor 12,100mm x 6,000mm this was to be used to increase capacity to the hall for performances. To the underside of the mezzanine floor a one hour fire rated suspended ceiling was installed complete with column cases. The exposed edges a polished modulus satin finish stainless steel balustrade was fitted complete with 10 mil toughened glass infill panels. The removal of the existing suspended ceiling to the hall and a new 600 x 600 suspended ceiling was installed to give new modern look. The works were carried out and completed within the school summer holiday. We were impressed with the team from S&SP throughout the planning phase and execution of the projects. 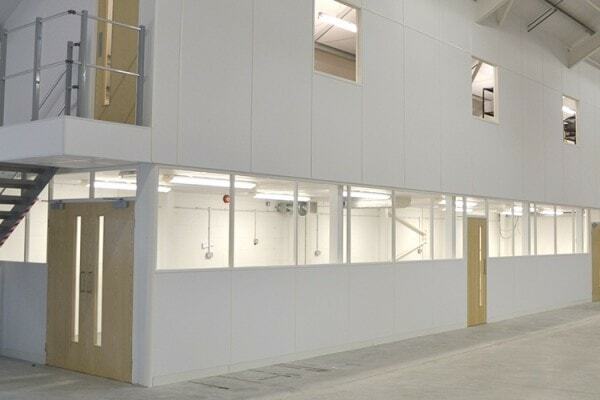 At the initial stages of developing the two mezzanine floor installations, S&SP team listened closely to our requirements and both floors were designed as closely as possible to our specifications. S&SP converted these ideas into working drawings giving the school exactly what was requested. 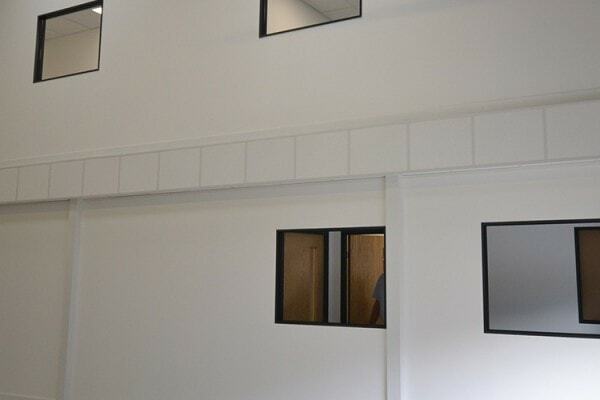 We first used Sussex & Surrey Partitioning for an office conversion project and we were very impressed by their attention to detail, working to a time and budget to carry out the construction, electrical and plumbing work. They are very tidy and gave us no of disruption to our business activities. Since then they have not only worked for us on many building project but they are an integral part of our facilities management.